Fit & Fresh Kids' Reusable Lunch Container Kit Was $22 Now Only $5.22! You are here: Home / Great Deals / Amazon Deals / Fit & Fresh Kids’ Reusable Lunch Container Kit Was $22 Now Only $4.73! Fit & Fresh Kids’ Reusable Lunch Container Kit Was $22 Now Only $4.73! Head over to Amazon and get the Fit & Fresh Kids’ Reusable Lunch Container Kit Was $22 Now Only $54.73! Shipping is FREE with Prime or on orders of $35+. Don’t have Prime? Try a 30 day FREE trial! 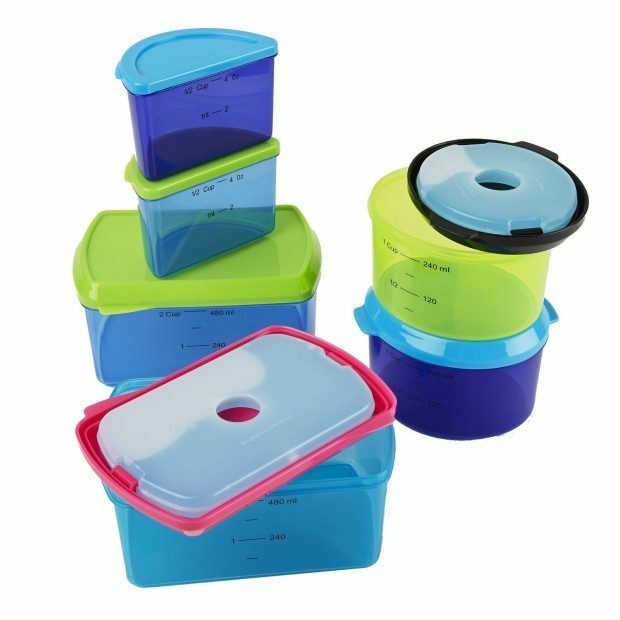 Set of 6 complete containers (14 Piece Kit) provide you with a versatile range of options for packing healthy lunches for children. (2) 2-cup containers, (2) 1-cup containers, and (2) 1/2-cup containers. Included (1) 2-cup and (1) 1-cup reusable ice packs snap into lids to keep lunches and snacks cool and fresh for hours until lunchtime. Measurement markings on the side of containers help support healthy eating by making portion control simple. Lids are tabbed to make it easy for children to open, and leak resistant to help prevent messy spills from occurring.